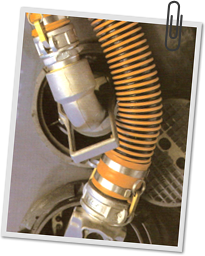 Since 1981, HOSE-TECH has specialised in manufacturing hoses and fittings for chemical, food and drink, brewery, dairy, pharmaceutical, plant and construction, automotive, avionic, engineering, mining, petrochemical and nuclear power industries. Accredited to BS EN ISO 9001:2015 HOSE-TECH offers its' customers quality brand products coupled with high levels of service, prompt delivery schedules and outstanding customer support and technical advice. Excellently located in north west England near to the M6 motorway, Manchester airport, and Liverpool docks for efficient distribution by road, rail, sea and air throughout the U.K., Europe, Asia and the Middle East.